When renovating your outdoor deck or patio lighting installation should be your number one concern. 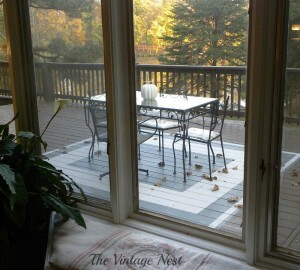 A proper lighting scheme can allow you to enjoy a relaxing evening on your deck while adding some much needed ambiance. 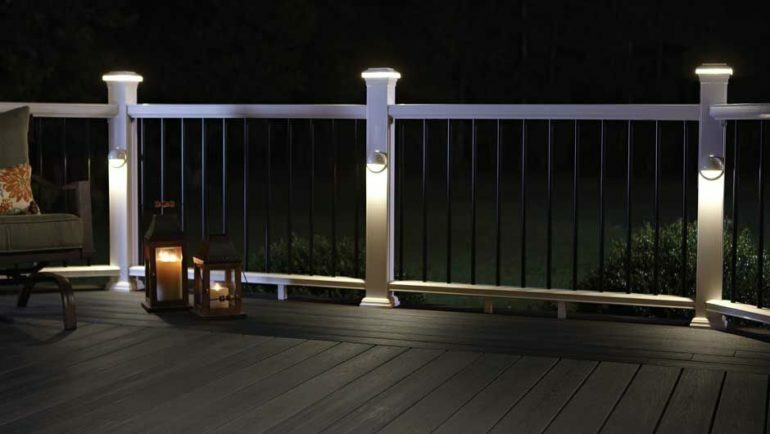 Whether you’re using post sleeve lighting, accent lighting, or just simple ambient lights, the addition of outdoor lighting can make your deck a safer and more enjoyable space. The majority of outdoor lights are low voltage, usually in the 12-volt range. These lighting systems can utilize a transformer but usually a weather-safe outlet is a perfect place to plug-in your new outdoor lights. When installing your lights make sure to select a transformer that covers your needs. A few calculations using the chart below should be all you need to safely install your brand new lighting. Consider the durability of the lighting you are installing. If your outdoor lighting isn’t rust free it may not withstand the elements and that could mean a costly replacement later on. Look for a powder-coated finish to ensure that your outdoor lighting doesn’t fall victim to inclement weather and harsh seasonal changes. Safely lighting your outdoor space can help prevent injuries and make your space more enjoyable. One solution is to install solar lighting on your steps and stairs. This will help to illuminate your decks staircase after dark, minimizing unnecessary slips and spills. There are 4 options to choose from when lighting your deck. As mentioned these are post cap lighting, post sleeve lighting, riser light and recessed lights. All of these offers distinct advantages, and can be utilized to improve the lighting and color of your outdoor area. Riser and recessed lighting can be installed against the steps of a stairway, and as mentioned add safety to your outdoor area. Often solar-powered, these lights can be installed quickly, and offer a safe and dependable option to keep you and your guests safe when enjoying your deck or patio. Post cap lights can offer an attractive option when renovating or improving your decking area. These lights can be fitted onto the caps of your deck railing, and will improve visibility while being energy efficient. Post sleeve lighting mounts directly to the rail post. This lighting adds a warm and relaxing feel to your deck, making it a perfect option when adding some ambiance to your existing lighting. If your renovations include adding a dining area, post sleeve lighting could be the perfect addition! And be sure to check out Fiberon’s website for any further help with your deck or patio!